You are the only Nigerian, publicly known to have direct links to the leadership of Boko haram in your line of duty as a journalist. Therefore, who is Ahmad Salkida? I am from Biu local government area in what is now the troubled Borno state. I grew up in that peaceful and homogenous part of Nigeria. I was born a christian from a christian family, and as a young primary school pupil in the early 80?s I would sneak into gardens and climb Mango or cashew trees while my mates were in school. To me then, the school system was an infringement on my understanding of personal liberty. I feel, if someone has the capacity to learn in a few months or years why subject the person to six (6) years primary school, six (6) years secondary education and four (4) years in the university. However, I read many of my mother’s novels. She had hundreds if not thousands of books. I managed to go to several schools to please my parents but I ended up not writing the secondary school leaving exams. But I was a teacher to many of my friends and peers at the time, and I helped dozens of graduates with their final year project work. I knew within me that I can be a good writer, a good researcher and a good investigative journalist but that was tantamount to wishing for the impossibility since everyone had to go to school to achieve that. I also had an obsession to leave Nigeria to Europe or America to live my dreams at a very early age. In the 90?s, when my mates were in the university, I was briefly a Marxist, a free thinker and in 1997 I finally embraced the Islamic faith on my own volition. At that time I had two (2) completed manuscripts which my mentor, late Dr. Jibrin Bala Mohammed, an associate professor in journalism encouraged me to write. In early 2000 I moved to Abuja with the hope that I could get a publisher for my books. I was sent out of my relative’s house because they feared that I could convert their son to Islam. So I got a job as a night guard in Wuse zone 2. In the night I worked as ‘Mai guard’ while in the day time I was called a brilliant and aspiring writer. It was at that point that I met Obiora Chukwumba through Uche Ezechukwu, two wonderful Igbo gentlemen and one of Nigeria ‘s finest set of journalists that I always remain thankful to. Obiora, the pioneer managing editor of Insider Weekly Magazine gave me my first job in February 2001 as a reporter, after a few reporting assignments I did for Uche. I did not present the usual smart curriculum vitae; mine was just a Primary School Certificate but Obiora believed that information that is unique and refreshing from someone like me was more valuable than the frequent parading of cute ivory tower diplomas that offer so much ego and polish with no substance. I worked as a reporter for several newspapers in Abuja and Maiduguri. I didn’t have a degree like many of my colleagues therefore I could not afford to wait for press releases and interviews. I was always looking for scoops or doing my development reporting to survive the competition with graduates in the news room. I was trained most especially by Obiora that every major news outbreak frequently starts as a signal which is most often ignored, sometimes even by acclaimed journalist. As a reporter for Uche Ezechukwu’s New Sentinel in 2006 I pleaded with Emmanual Yawe, the managing editor to see the news value of my first interview with late Mohammed Yusuf. I was eager to tell the world the influence he was having on thousands of youths in the area. Two parents had earlier approached me in my area to talk to their kids about their new found obsession with the teachings of late Mohammed Yusuf that made many youths to abandon school or resign from civil service etc. I was seen by many, though not as a role model for education, but for hard work and commitment to whatever I set to achieve in life. I began to write exclusively on the sect and painstakingly built and developed a network of invaluable sources within the group. In 2009, you were exiled from Maiduguri to Abuja by the then Borno State governor Ali Modu Sherrif. What was your offense? I was made to lie down with my face down instantly I urinated in my pants when two mobile police men contemplated who was going to pull the trigger. Thank God I am alive today. I clearly heard the CSO ordering the police not to shoot me at the government House that “Oga” does not want to see a corpse here. Surprising till today none of the nearly twenty (20) reporters present at the scene reported how I was assaulted instead they all reported thereafter that I was treated well and that I was held in protective custody for my safety. I was then driven to the Police Headquarters in the state where I was kept in a cell with fifty eight (58) others. After spending thirty (30) hours in the cell and about fourty eight (48) hours without food or water. I was then allowed to wash up the urine that had dried up on my pants and relieved myself of my running stomach. My cell mates, some of whom were members of the sect while some are innocent bystanders were being called out and executed one by one, everyone was waiting for his turn. Well to be fair to Daily Trust and the NUJ, they pleaded for my release. I think that was where the first mistake happened, if they were sure that I am a journalist they should have condemned my arrest and detention and demanded my release and demand even an apology. To have entered a plea on my behalf was like making a submission of guilt on my part, which created a lot of doubts to many persons and made me to lose interest in everything around me. For me, I believe three things helped me; Christopher Dega, the commissioner of police (who is alive today) was reluctant to carry out the order to execute me, a mole within the Boko Haram had also confirmed my story that I am just a journalist, and I learnt recently that the then Deputy Governor Adamu Dibal worked tirelessly to plead for my life from Ali Modu Sheriff. I was then ordered to leave my state immediately for my own safety by the Borno State Government. 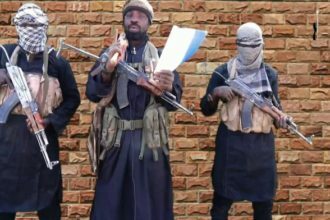 Tell me about your relationship with Mohammed Yusuf who founded Boko Haram in 2002 and was its spiritual leader until he was killed in 2009. He heard about me through one of his students. According to late Mohammed Yusuf my life story and how I met and married my wife within 5 days was remarkable to him. He invited me to his house several times, we ate together and kept in touch. He tolerated me so well that he told me not to book an appointment anytime I wanted to see him for anything. I was a frequent guest to his house with my miget asking questions and I later asked him if he will allow me to write a book on his activities, he said yes. I became known to many of his lieutenants and I was not surprised when late Mohammed Yusuf asked me to work with the Public Affairs unit of his sect to setup an Al Mizzan style newspaper which he wanted me to be editor. At first I was so excited but my wife cautioned me and I later insisted on three (3) things: (a) that I wanted total editorial control (b) that I must introduce columnists that do not share his ideology (c) and I wanted to be a partner in the project. He never got back to me on that but our relationship remained very cordial. On the day I was arrested Tuesday 29th July 2009 he desperately wanted to see me few days later he was captured and executed by several mobile police men behind my detention room along side many other youths and his followers. Do you think the extra-judicial killing of Mohammed Yusuf led to the insurgency by the Boko Haram group? I think the extra-judicial killing of their leader is symbolic because it served as a prove to the hundreds of sect members and other innocent bystanders that were picked up since 2009 till date and executed in the same manner late Yusuf was killed. Apparently Extra Judicial killings have never stopped till date. If Independent minded investigative journalists will be allowed to operate in the state they will reveal mass graves of thousands of youths some of them women and children killed in cold blood in Maiduguri. Many have taken arms today not necessarily because they subscribe to the ideology of the sect but because of the despair they find themselves occasioned by the abuse of the rule of law and the constant denial of any form of injustice by the security agencies even in the face of documentary evidence. 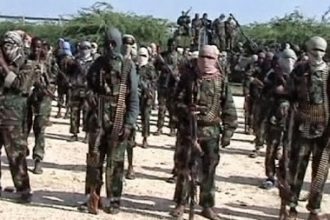 As one who understands the issues around the sect, Is the Boko Haram Sect linked to Algeria’s al Qaeda? Yes they are in touch and in some kind of partnership and collaborations, and I think that relationship is growing. Shehu Sani, a human right activist said you can call for a truce between government and the Boko Haram sect.. why you? I can’t speak for Shehu Sani but what I know is only God can bring an end to this crisis and no one person with access can do it. If government is not committed and sincere what ever access a person has will be lost. I also want to say here categorically that the sect have always shown readiness to talk whenever I approached them but the people in government, I sense have frequently laid up too much confidence in their ability to subdue the insurgents militarily. You see total lack of enthusiasm and absorbing obsession with pecuniary interests. Moreover, top politicians seem not to find it acceptable that the purveyor of such strategic mediatory offers was me. Last year we were in the middle of developing a blueprint for action to resolving this whole mess that if government can release unconditionally women and children in various detention locations and treat the detained in a civilized manner for all to see, the sect may consider a partial ceasefire where unarmed civilians will be spared. The government officials stone walled, arguing that there were no women and children in detention, the window collapsed. So I was helpless. You have extensively covered the conflict between the government and Islamist sect Boko Haram, is your life under threat? My life has always been on the line since 2009. It is not easy dealing with the insurgents as a journalist, not every thing they give you can be news and the slightest change in your report by your editor who does not know how erratic they can be to you, that may cause you, your life. The same thing with the authorities who always wanted me to report only what they want Nigerians to know. I have been invited severally by top security officials to be wired during some of my interviews in order to arrest them. I was put under a lot of pressure to betray my sources. My refusal to do any of these things therefore was interpreted by many as unpatrotism and cold complicity. I can assure you it has never been the same for me and my family after my arrest in 2009. My first daughter who is 10 years old once came home in 2010 to say some kids will not play with her because their parents told them her father was Boko Haram. Before 2009 I was an attractive bride in journalism in the North but in the last few years I could no longer get proper employment (in cases where I get the chance rivalry and suspicion trail my everyday activities) many media houses have suddenly realised that I am not a graduate and my nearly 13 years journalism experience no longer count in giving me proper employment that is in itself a threat to a husband and a father to four kids. Why did you flee Nigeria for the United Arab Emirates, Dubai? I think the revelation that I came to the UAE was a mistake on the part of my colleagues. Since the threat to my life intensified after my article on the questionable ceasefire declared by one Abdulaziz (whom Abubakar Shekau has disowned) in February 2013, it became absolutely necessary for me to flee. I cannot remain in Nigeria just because God saved my life several times. I have to flee not to seek asylum but as a law abiding citizen of the world and open a grocery shop and support my family whom I feel I have exposed a lot with the constant trauma I caused them as a result of my work as a reporter in Nigeria. You once said the government’s security agents have accused you of being a member of the sect, again I ask, are you a Boko Haram member? Even as a child in the 80?s I have seen a lot of misgivings towards me. The moment my parents and every senior member of my community realized my disdain for formal education they lashed at me. People believe that every person must go to school to succeed in life, no one thinks that by learning handcraft or any other skill acquisition you can succeed. I was stigmatized and many parents will warn their kids not to come close to me. Also as a young convert to Islam in the 90?s till date, I experienced all kinds of stigma by many christians, of course many Muslims will react violently if some one renounces the Islamic faith but both violence and stigma can kill or break any person. Also as a journalist, I have seen a lot of violence and stigma because of my rare professional access to a dreaded sect and to many, this is wrong, they want me to work like any other journalist who depends on press releases by the Joint Task Force (setup by government to curb terrorism in Nigeria) to report the crisis. My exclusives was never seen by many as a journalistic feat instead all I get are mere unfounded allegations of being one of them. I don’t believe in violence. Every Sunday I pray that my mother who is always among the first to go to church will come back home alive and save. To answer your question directly, I am not a member of Boko Haram and never will be. Do you agree for Amnesty to Boko Haram as proposed by some politicians and religious leaders? If you read my last interviews with Abul Qaqa, he has always said that if amnesty means forgiveness then they are the ones that should forgive government for the wrong done to them in 2009. According to them many Nigerians don’t see what they undergo instead it is only what they do that is easily shown in the media. And I think issues as sensitive as amnesty suppose to have been tabled first through a trusted mediator who has access to the leadership of the sect before you take it to the media. The sect as I understand heard about the amnesty on the pages of newspapers. Abang, how would you feel if you heard about your marriage proposition with a man from a third party and not from the man? I think you will feel irritated at best. State Governor, Isa Yuguda has said, Political Boko Haram behind rejection of Amnesty, do you agree? The question Mallam Shekau has spoken on the amnesty. Is he the political Boko Haram? How many types of Boko Haram Groups do we currently have? As Isa Yuguda has said there is political Boko Haram. Of course there are many elements that hide under the cover of the group to carry out all kinds of atrocities. There are some that were once members but they have been cut off by the main group but I don’t believe there is any faction. Abdulaziz that is in contact with the Borno Government insisted that he is speaking on behalf of Mallam Shekau even when Shekau denied that, he never called himself a factional leader. Even the Ansaru remained imaginary to me, because one of the main criteria for any Jihadi armed group is to have an Amir, leader. So who is the leader of any of these factions? At least many will know the leader and his antecedent when he was a loyal follower of late Mohammed Yusuf or Shekau? What is that one thing you believe is driving the Boko Haram ideology and how commited are they? The state of lawlessness and injustice have not changed in Nigeria for many decades now and it serves as the pillar for the ideology of resistance. They are committed and believe without doubts that they are God’s warriors. You once said the way out of the conflict is for a trusted and independent body to ferry moderate clerics to a third friendly country with the leadership of Boko Haram… Are you speaking the mind of the sect? Because they (Boko Haram) had requested former head of state Muhammadu Buhari, to lead the peace deal to hold in Saudi Arabia? First of all, the sect never said Buhari should be a mediator or mentioned going to Saudi. It is the same Abdulaziz group that declared ceasefire that made the pronouncement on Buhari and co. When they called me to dispatch this same message to the media, I asked the caller several questions about who he was and why haven’t the sect reached me through the usual source. He could not give me answers so he called ignorant journalists that spread his message like wild fire. I am sorry to say this, if the sect knows where to find General Buhari (someone I respect a lot) they will make an attempt on his life. To them, any retired and servicing soldier, police, politician or civil servant is an infidel that deserves to be killed. So how can the same sect with such an ideology listen to General Buhari, the Governor of Borno state or any other politician or the Sultan? The average member of this sect see all these people whether they are muslims or not as ‘livil corpses’. For God sake have we not been listening to this people in the last couple of years?. Am I the only one listening to them? It seems the sect have been more consistent with their message than the Federal and state governments involve in this conflict. Your second question about going to a third friendly nation to have an ideological debate with the sect. For me, I will always maintain that since this is a problem of doctrine then it must be tackled through a coherent, profound counter doctrine. There has not been any concrete ideological intervention by the appropriate authorities only military intervention. If the sect members say the Qur’an allows them to kill Christians and fellow muslim security agents, politicians, teachers, vaccinators and opposing clerics. I think it is wise for Muslims that disagree with them to understand their arguments clearly and bring a superior one to counter it, and I don’t think you can hold such a debate before the eyes of the JTF. It can best be done with the assurances of a third friendly nation whom the sect can trust and the clerics of this nation may serve along side other international clerics as arbiters. I think such an informal dialogue will not only make us understand the reasons of this conflict but what is feeding it and it will provide us with the best possible way to approach dialogue or amnesty. President Goodluck Jonathan did describe Boko Haram as a “Ghost” when he visited Borno.. do you agree they are ghosts? They are human beings like us. I told you about my contact with many of them. So am I in contact with ghosts? When I single handedly facilitated the Dr. Datti Ahmed’s attempts to dialogue by the special Grace of God, did I have meetings with ghosts? Do Nigerians believe in ghosts? Who is the true and real leader of Boko Haram? What do you make of the killings of innocent women and Children by the Boko Haram sect? It is shameful and sad! Do you think the Nigerian Government is prepared to put to an end the insurgency in the North? What is your recommendation for the security agencies and the sect to bring about sustainable peace? The sect must understand that Islam teaches muslims that forgiveness is the highest level of strength while revenge is the highest level of weakness. Our Leaders must also be truthful to Nigerians and deal with these security challenges without bringing in the usual corruption they employ in every facet of our national life, at least they should know that human lives are involved here.